Got some unfinished business with your mates? Delta Force Australia is giving you the chance to get even. 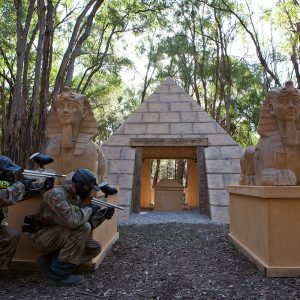 To celebrate the DVD release of 21 Jump Street, Delta Force Paintball in conjunction with Lonsdale, Universal and Sony Pictures have put together a sensational promotion. 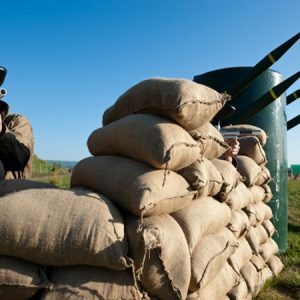 Delta Force Paintball has a long history of entertaining a huge range of groups including; bucks and hens parties, corporates, sporting groups and celebrities. 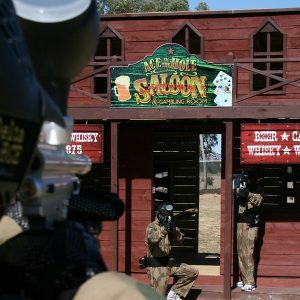 Being the world’s largest paintball operator, Delta Force Paintball has changed the face of the Australian paintball industry. Thanks to our 100% safety record in over 23 years of operation, stunning movie-set quality game zones, top of the range equipment and the best staff in the business, you and your mates will have the time of your lives.